Beautiful Giovanna alloy wheels feature gloss black 5 spoke design with a deep polished dish or lip. 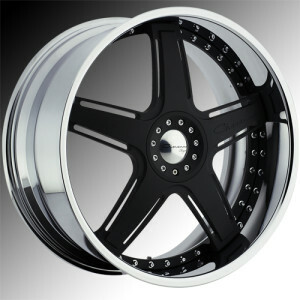 Alloy (or mag) wheels are so popular due to their great variety of cool looking designs. Alloy wheels can transform a boring looking car into a high-performance, stylish machine.